An East Hempfield Township manufacturing plant, vacant for three years, is getting new life under a new owner. The former Maximatecc plant, 1811 Rohrerstown Road, near East Petersburg, is being sold to two brothers who own a pair of small but growing Brownstown companies. John and Dan Weinlader, who own Superior Tech and VS Networks, have agreed to buy the 18-acre property from New Jersey investors for $3.5 million. The brothers hope to move their businesses from 8,000 square feet of leased space at 43 Industrial Road to the 72,000-square-foot facility immediately after a May 3 settlement. The move would trigger fast growth in payroll and sales by the two businesses. “We are constrained by space right now. That’s what’s holding us back. So this is a well-timed opportunity for us,” John Weinlader said Thursday. He estimated that the two companies, which now employ a total of 40 workers, could add 21 jobs in a year. With the extra room, they’re looking to hire software engineers, mechanical engineers, electrical engineers and product management staff, among other positions. John Weinlader declined to disclose the companies’ revenues. Founded 30 years ago by the Weinladers’ father, Keith, Superior Tech manufactures lawn and garden equipment for John Deere. 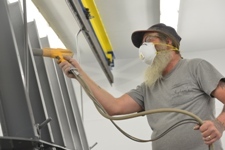 They include sprayers (up to 150-gallon capacity) and riding lawn-equipment attachments such as baggers and loader buckets. VS Networks, founded by John Weinlader, makes digital tools such as touch screens for customers to use in showrooms of John Deere, Stihl, Volvo, Ace Hardware, Mack Truck and other companies. 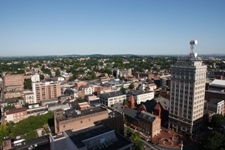 Supporting the real estate transaction is a $1.6 million loan from the Pennsylvania Industrial Development Authority to the brothers’ company, Maple Run LLC, which will be the property’s owner. The Lancaster-based nonprofit EDC Finance helped Maple Run obtain the state loan. John Weinlader thanked PIDA and EDC Finance for assisting he and his brother with funding their expansion plan. Handling the real estate sale were Michael Curran and Patrick Lafferty of CBRE and Bill Boben of High Associates. The plant, larger than a football field, is across the street from Lanco Fieldhouse, which coincidentally got a new owner recently, too — Spooky Nook Sports. The building was opened in 1988 by Datcon Instrument, a vehicle instrumentation manufacturer that was spun off from Hamilton Watch in 1970. Datcon moved to the building, on part of the what had been the Hodecker celery farm, from Commercial Avenue a few blocks away. Following a name change to Maxima Technologies and a couple of ownership changes, the business was acquired by Actuant in 2006. It had about 200 employees here at that time. But rounds of downsizing — triggered by transferring work to a company plant in Mexico, outsourcing and falling sales — cut the local workforce steadily. The company, by then named Maximatecc, idled its last 20 production workers in spring 2015, Actuant spokeswoman Karen Bauer said. 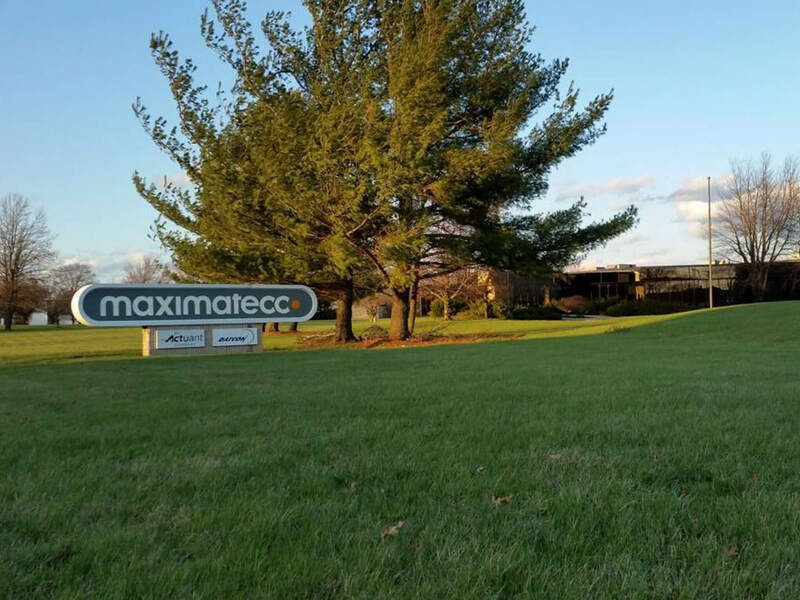 At the same time, Maximatecc opened an office at 1090 N. Charlotte St. to house about 25 office employees, mostly in the engineering, customer service and finance functions, who had been on Rohrerstown Road, she said. The property also offers proximity to Route 283, provides room for growth and has a large lawn where Superior Tech can test products.